Festivities will begin at 7 pm with music, games and food for your family to enjoy. 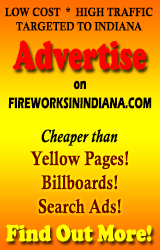 The fireworks show will begin at dusk (around 9:30pm) and can be viewed from Danville Community High School. Bring your blanket to view the show from the football field.